The Walt Disney Company concluded the 2017 Disney Accelerator program today by hosting its fourth annual Demo Day. At the event, the eleven participating companies presented their businesses to investors, Disney executives and other industry leaders. Several participating companies also announced collaborations with various Disney divisions. Demo Day follows this year’s three-month Disney Accelerator program, which connects participating companies from around the world with the creativity, imagination and expertise of Disney and provides them with unprecedented access to Disney’s leadership team, mentorship, and support. This year’s Disney Accelerator companies focused on a range of innovative technologies in areas such as esports, location-based entertainment, robotics, media production and distribution, messaging commerce, and real-time entertainment. 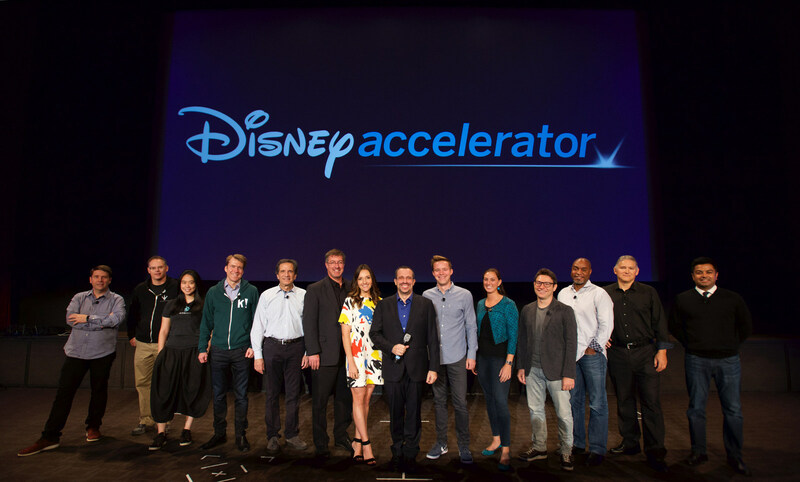 Many companies that have been part of the Disney Accelerator since it launched in 2014 continue to collaborate with various divisions of the company on successful initiatives. Three of this year’s highest profile Star Wars products during the Force Friday II event were created by Disney Accelerator companies: Sphero’s R2-D2 and BB-93 App-enabled droids and littleBits’ Droid Inventor Kit. Additionally, StatMuse, an AI-powered natural language sports storytelling and knowledge platform that participated in the Accelerator in 2015, recently unveiled a new iOS app and Amazon Alexa Skill enabling fans to ask about scores, stats, and hear from the voices of sports superstars and personalities including Scott Van Pelt, host of ESPN’s SportsCenter. Ambidio: an innovative sound company that is bringing immersive surround-sound audio to personal devices. Ambidio has been working with Skywalker Sound, and over the summer Marvel Studios’ Thor: Ragnarok trailer featured Ambidio’s innovative sound technology to give viewers a truly immersive experience. Ambidio has also been working with Walt Disney Studios to test feature films with its technology, as well as with Disney|ABC Television Group to test Ambidio for streaming TV. aXiomatic: an esports and gaming company created by leading sports team owners that holds a majority stake in Team Liquid, a top esports team in the U.S. and Europe, and a stake in Super League Gaming. Epic Games: creators of Unreal Engine, which is used by millions of game developers and digital creatives across PC, console, mobile, virtual and augmented reality platforms, in addition to television and film. Epic is also known for creating the “Unreal,” “Gears of War” and “Infinity Blade” series of games, and their newest title “Fortnite,” which was released in July, has already reached 10 million users, and is one of the most played games worldwide. At Demo Day, Epic showcased how Epic and businesses across The Walt Disney Company are collaborating on entertainment experiences and new technology demonstrations across multiple platforms. Hoodline: developers of a local news and content discovery platform, Atlas, which uses machine learning to create and distribute geo-tagged and personalized content from hundreds of media partners into websites and mobile apps. Hoodline announced today that the company is working with ABC to bring local content from Atlas to all ABC-owned TV station mobile apps around the country. ABC is also planning to use Atlas to help bring even more personalized experiences to its TV station apps. Kahoot! : a game-based learning and trivia platform with more than 50 million monthly active users in 180 countries. The company is planning to pilot ESPN and Lucasfilm content on the Kahoot! platform, which is primarily focused on bringing the magic of storytelling to K-12 kids, while also engaging them in STEAM subjects in unique and entertaining ways. ProductionPro: a tool for storytellers and creators focused on improving creative collaboration in film, television, and theatre production by pulling scripts, research, and designs together to empower decision-making. Disney’s theatrical production of Frozen is working with ProductionPro, and Disneyland Park has started a pilot to use ProductionPro for live shows. The company is also working with Disney to prepare ProductionPro for a pilot on a major motion picture. MessageYes: creators of a mobile messaging e-commerce platform that lets customers simply reply “YES” to a personalized text or message to buy products on their phones. The company, previously known as ReplyYes, announced today that the company has changed its name to MessageYes since messaging is core to what they do. At Demo Day, CEO of MessageYes, Dave Cotter shared how during the Disney Accelerator program, the company began exploring the intersection of messaging and ecommerce with the teams at Disney. Samba TV: a data and analytics company that generates real-time viewership data across broadcast, cable TV, over-the-top and digital media. 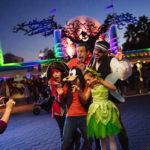 Samba today announced it is working with Walt Disney Parks and Resorts to better optimize their marketing spend across TV and digital. Additionally, the company is working with the Walt Disney Studios Media and Marketing Science teams to figure out how both TV and digital marketing influence purchase decisions of movie tickets and home videos. Savioke: a robotics company that develops and deploys autonomous indoor delivery robots that assist workers in busy environments, logistics facilities, and apartment buildings. Savioke is starting a pilot with Relay in a hotel at Walt Disney World Resort and exploring opportunities for collaboration with Walt Disney Imagineering. Additionally, Good Morning America is planning to test Relay as part of their team, delivering coffee, scripts, and surprises to the hosts and celebrities. The VOID: a location-based entertainment company that fully immerses guests in virtual experiences with friends and family, engaging all the senses. The VOID combines interactive sets, virtual reality, real-time effects, and state-of-the-art technology to bring guests into their unique experiences. Today, The VOID announced that tickets are now on sale for Star Wars™: Secrets of the Empire at www.thevoid.com. 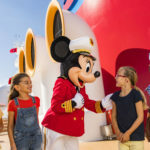 The highly anticipated hyper-reality experience is debuting at Disney Springs at Walt Disney World Resort in Orlando on December 16 and Downtown Disney at Disneyland Resort in Anaheim on January 5. Additionally, the company revealed a first-look trailer, which can be viewed at: http://strw.rs/60098f2mT.